Conrad Maldives Rangali Island is once again leading the epicurean scene in the Indian Ocean, with a series of new creativities designed to excite and inspire gourmands over the coming months. This summer guests will be able to enjoy an imaginative new cocktail menu, designed by world-renowned mixologist Grant Collins. Award-winning restaurant Ufaa by Jereme Leung will be transformed into a special pop-up event where foodies will be transported back in time for a journey through the flavours of Shanghai’s Belle Époque era. Ufaa by Jereme Leung continues to raise the bar with Chinese celebrity chef Jereme Leung at the helm. 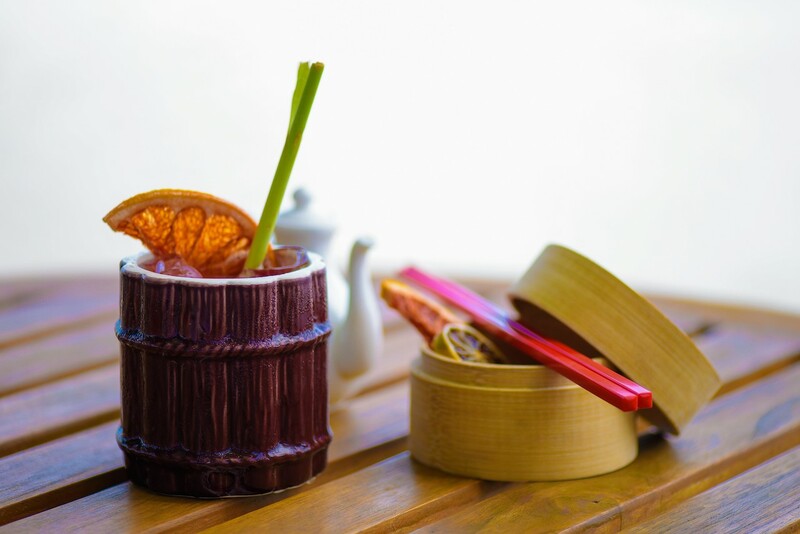 This July will see the authentic Chinese restaurant transformed into 1930s Shanghai with the launch of its Shanghai Mystique pop-up event, set against a spectacular backdrop of crystal-clear waters, white sandy beach and swaying palm trees. For the first time, guests staying at the resort from 16 – 18 July can experience the wonders of Shanghai through the eyes of Suzie Wong, an icon of what 1930s Shanghai and Hong Kong represented. Guests will be transported to the city’s Golden Age with the restaurant resembling The Great Gatsby era adorned with colourful touches from Shanghai, including oriental lanterns, dramatic red lighting, and vintage Chinese advertising and parasols. The culinary playfulness is complemented with the hypnotic and unforgettable sounds of China’s most popular entertainer of the decade Zhou Xuan. Zhou Xuan’s smooth and smoky sounds will be reimagined by the resort’s resident DJ and Rangali Bar’s pop-jazz band that will perform a melody of Chinese and modern-day classics. The KTV rooms will be available for guests to enjoy a game of Mah-jong or a spot of karaoke with up to 4,000 songs to choose from including English, Russian, German and Cantonese and Mandarin hits from the past and present. Specially designed by celebrity chef Jereme Leung, the menus will showcase traditional Chinese cooking. Drawing on the key five flavours of salty, spicy, sour, sweet and bitter, guests can feast on an array of dishes including double boiled chicken soup with mushroom, green vegetable and oven baked cod fillet in spicy sauce and Yunnan rose petal ice cream. Jereme will take centre stage during the event allowing guests to mix and mingle with a culinary maestro. 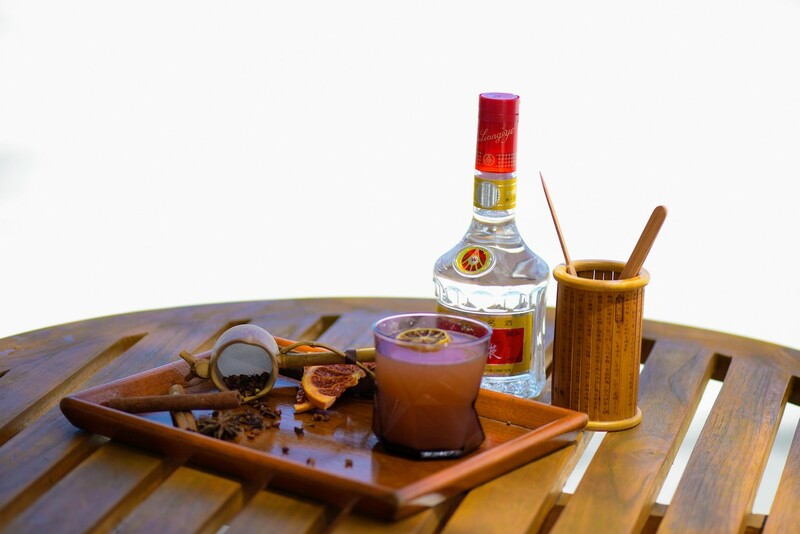 Internationally renowned mixologist Grant Collins has curated an eclectic selection of cocktails featured at Rangali Bar and The Quiet Zone. Originally from the UK, Grant Collins has been recognised with a number of prestigious awards and accolades throughout his career, including Australian Liquor Industry’s ‘Bar Manager of the Year’, ‘Best New Bar’ and ‘Cocktail Bar of the Year Award’. Taking inspiration from his childhood memories, the menus feature a playful assortment of cocktails with ingredients sourced from the resort’s organic hydroponic garden. Offering an adult twist on childhood treats, the nostalgic menu includes the likes of orange sherbet mojito, candy floss berry sour and even a dedicated ‘movie nights’ cocktail served in a popcorn cup, made up of popcorn washed vodka and spiced cherry cola. Adopting the principles of molecular gastronomy, Grant Collins brings an innovative approach to Conrad Maldives by transforming ingredients such as rosemary and basil into sorbet and foams. Orange sherbet and berry cotton candy are too made in house creating scientific theatrical flair in both bars. Grant Collins is also behind the menu of Rangali Bar’s Tiki pop-up, taking over the bar this summer. Inspired by the art, style and culture of the Caribbean, Hawaii, and South Pacific, guests can relax poolside with an exclusive cocktail list featuring Rangali Island twists on tropical favourites such as rum runners and hurricanes. DEMYSTIFY THE MYSTERE OF 1930s Shanghai. Set against a backdrop of crystalline waters and swaying palm trees Conrad Maldives’ award-winning restaurant Ufaa by Jereme Leung will be transformed into 1930s Shanghai, immortalized through the eyes of travel muse: Suzie Wong, an icon of what 1930s Shanghai and Hong Kong represented; sweet, seductive and evocative and a little bit mysterious. Presented by Shanghainese celebrity chef Jereme Leung, the bespoke menus will showcase traditional Chinese cooking drawing on the five tastes of sour, sweet, bitter, spice and salty. 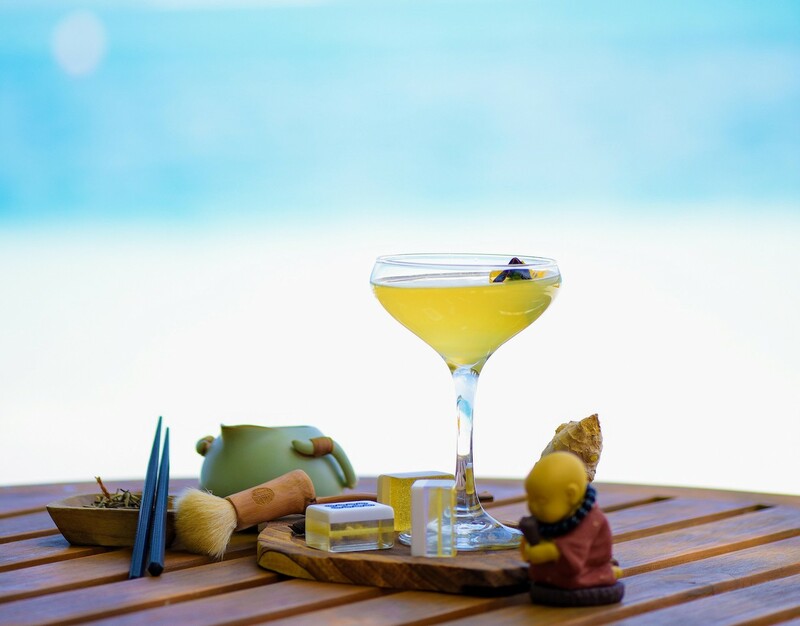 Each taste has been uniquely blended into oriental inspired mixology prepared by Rangali Island’s expert mixologists. Jereme will be in attendance during the promotion and will be available to mix and mingle with guests. A decade of absolute opulence and grandeur, Shanghai has always been renowned as the architectural art deco city of the East. The 30s was Shanghai’s Golden Age. Guests will be transported to Shanghai’s Golden Age with Ufaa being transformed into a grand den-like atmosphere omnipresent of the American Gatsby era blended with Shanghainese touches. Art Deco motifs and contemporary design elements are mixed and stirred with the flair that is characteristic of Shanghai – the Pearl of the Orient. Each of Ufaa’s spaces will be activated to showcase a different taste of the era with the downstairs show kitchen featuring Shanghainese canapes served straight from the kitchen, the second floor gallery dining will feature modern-day interpretations served a la carte style and the private dining room will see the resort’s mixologists shake and stir a range of specially concocted cocktails that herald days of American prohibition with oriental spice. Traditional Chinese cooking draws on the five tastes of sour, sweet, bitter, spicy and salty, all give elements combined achieves balance and harmony in the meal. Drawing on the five tastes the bespoke libations have been crafted by the resort’s internationally trained mixologists. Infuse Oolong tea for 4 minutes and let cool. Lightly crush ginger in a cocktail shaker and top with remaining ingredients. Shake and double strain. Peel orange segments and remove the pith. Marinate in the Chinese five spice syrup and keep refrigerated. Add remaining ingredients with the exception of the soda to a cocktail shaker shake and pour over ice. Pour 300mls of boiling hot water over chamomile tea bag, herbs and peels, let infuse for 15 minutes and remove tea bag. Strain into a small saucepan, add sugar and bring to the boil. Simmer on low heat for 5 minutes to thicken. Refrigerate and can keep for 2 weeks. Food presented will be a juxtaposition of street classics and Shanghainese-style cuisine. Each of Ufaa’s spaces will be activated to create a roving environment from space-to-space. Food will be served from the show kitchen overlooking the lagoon as well as the gallery dining on the first floor. Guests will be entranced by the hypnotic and unforgettable sounds of Zhou Xuan, China’s most popular actress in the entertainment industry during the 1930s. Zhou Xuan is described as Marilyn Monroe or the Chinese equivalent of Judy Garland in terms of fame, talent and personal woes on screen and off screen. Her music will be blended with modern day jazz into a DJ set to play into the evening. Complementing the music will be the resort’s own resident band that will play a melody of Chinese and modern-day classics. KTV rooms to be set up with Mahjong and a selection of cigars and cigarettes to be available for purchase. To learn more about or connect with Conrad Maldives Rangali Island, please visit www.conradmaldives.com or call +960 668-0629. For more information about Conrad Hotels & Resorts, please visit news.conradhotels.com or follow them on Facebook, Instagram, and Twitter. Live your passionate self and stay inspired at the award-winning Conrad Maldives Rangali Island. Recently applauded Condé Nast Traveler Reader’s Choice Awards, Top 10 Resorts in the Indian Ocean and awarded ‘Indian Ocean’s leading resort’, ‘Indian Ocean’s Leading Culinary Hotel’ and ‘Leading Hotel in the Indian Ocean’ and inducted into the Trip Advisor Hall of Fame, in addition to “The Best Water Villas in the Maldives”, “The Best Suites in the World” “Best Spa Resort in the Maldives” and “Wine Spectator Best of Award for Excellence” for Vilu Restaurant and Bar”, and recognized as having the “Most Beautiful Restaurant in the World” for Ithaa Undersea Restaurant, Conrad Maldives is the quintessence of resort destinations. From navigating aquatic gardens, to discovering rare marine life, dining above and below the water and unparalleled views of the Indian Ocean at every turn, the resort features villas and suites tucked amongst natural greenery and dotted above the Indian Ocean, 12 award-winning restaurants and bars, two spas and a curated collection of locally inspired experiences designed to connect adults and children with the charm of Maldivian culture. Conrad Maldives Rangali Island is an inspirational backdrop featuring intuitive service, infinite connections and a distinctive mix of experiences, activities and dining making it an unforgettable destination for couples and families to truly stay inspired. Ufaa which means “happiness” in the Maldivian language of Dhivehi is an innovative Chinese culinary concept which offers authentic experiences highlighting a myriad of iconic flavours from across the distinctive provinces across China. Blending contemporary and classical elements, as well as Chinese and Maldivian style in all aspects of offerings and décor, the restaurant is heralded by star chef Jereme Leung, and serves everything from dim sum to hot pot on the beach and dim sum making classes in the restaurant’s open show kitchen. Completing Ufaa is two dedicated Mah-jong and KTV rooms with up to 4,000 songs in Cantonese, Mandarin, Russian and German and English. The Maldives’ first authentic Chinese restaurant has been handpicked to become the islands nation’s first Krug Ambassade restaurant. Ufaa joins an elite international network of exceptional restaurants including the UK’s iconic Fat Duck and Murano, Dinner at The Mandarin Oriental and l’Hôtel Georges V in Paris. Leung’s carefully crafted authentic and contemporary Chinese flavours featured are a perfect complement to Krug Champagne’s philosophy of quality and timeless taste preferred amongst luxury travellers. Krug Grand Cuvée is available by the glass and the bottle. As one of the most creative Asian pioneers of contemporary Chinese cuisines, Leung is an innovative chef who perfectly blends the concept of modern Chinese cuisines with classical Chinese provincial food. Taking inspiration from traditional recipes by working together with masters of Chinese classical regional cuisines, Leung’s cuisines remain true to traditional Chinese cooking techniques while pushing the envelope in terms of style and presentation. In 2000 and again in 2008, Leung was honoured by The American Academy of Hospitality Science when they conferred upon him the Five Star Diamond Award, naming him one of the “World’s Best Chefs” joining the ranks of other culinary luminaries including Charlie Trotter, Wolfgang Puck and Jean-Georges Vongerichten. Leung began his cooking career at the age of 13 in Hong Kong and is a specialist in all four schools of Chinese cooking – dim sum, barbecue, wok cooking and knife work. Leung has honed his craft from his experiences from having worked and lived around the world, and working at some of Southeast Asia’s renowned hotels. In 2003, Leung created his own restaurant concepts company Jereme Leung Concepts Limited, and is now expanding his repertoire by adding to Conrad Maldives’ award-winning dining with the launch of Ufaa by Jereme Leung.